When researching on where to visit in Turkey other than Istanbul, the first on the list was Cappadocia, a historical region of Central Anatolio in Turkey. It is well known for their fairy chimney rock formations, underground cities, cave houses and rock temples. They are so beautiful, everyone should visit at least once in their lifetime. Göreme was where we decided to stay. It is a town in Cappadocia which has hotels and restaurants. It is a small town but compared to the other towns, it is better populated and is more equipped for tourists. Daily tours operating in the area will have pickups from hotels. It is advised to go on a tour to see more sites out of town as there are no public transports available. The only other way is to hire a car. 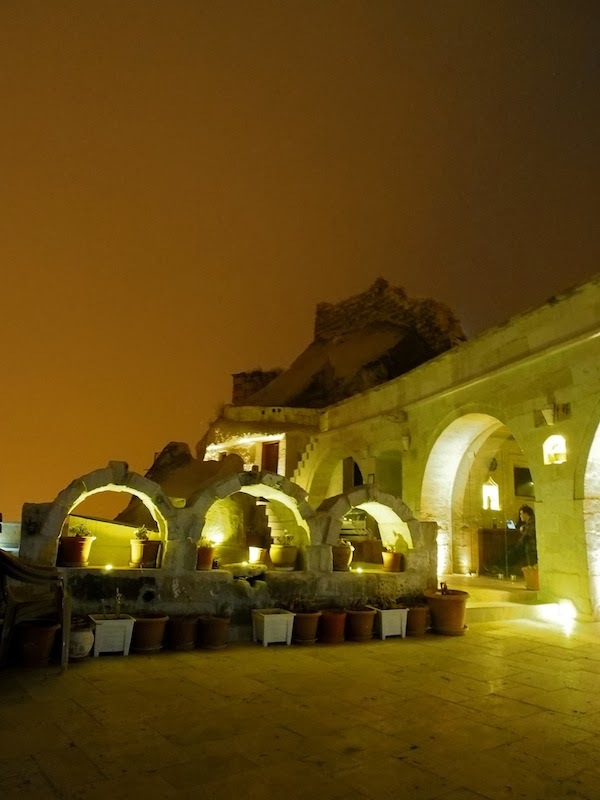 Arif Hotel is located slightly on a hilly part and has views that take your breath away. If you look carefully, there is a glass wall under the arch on the far right. This is the room where Turkish breakfast is served. Isn't this romantic? Also, if you were wondering, the cave room was very well heated and warm during winter of -10C outside. I heard that some hotels can be quite chilly even though heated but this was very comfortable. 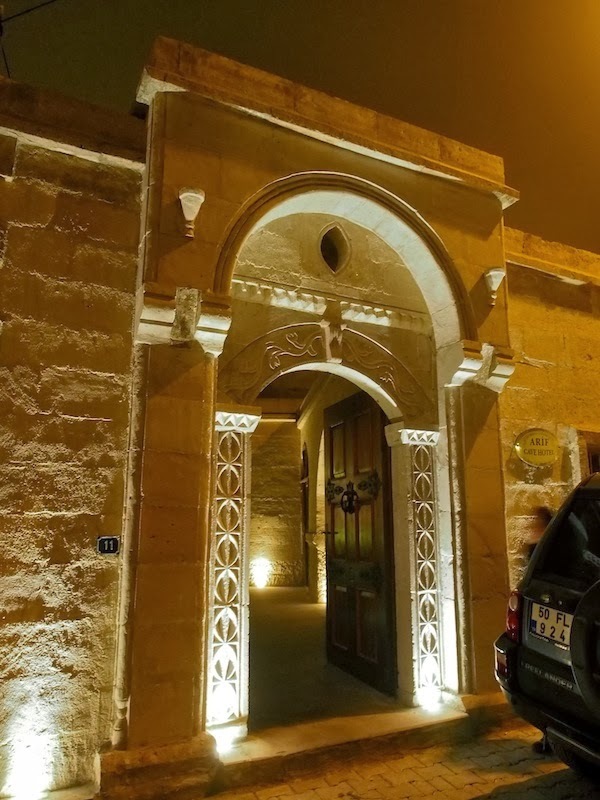 I would highly recommend this hotel if you are planning to visit Cappadocia. There are also many good and affordable food around the area which is always a plus. How to get to Göreme? The fastest way from Istanbul is to take a flight to Kayseri Airport. From the airport, take the pre-booked shuttle which will drop you to your hotel. Contact your hotel prior to arrival with details of your flight so they can arrange for a pickup shuttle. It will cost 25TL per person. 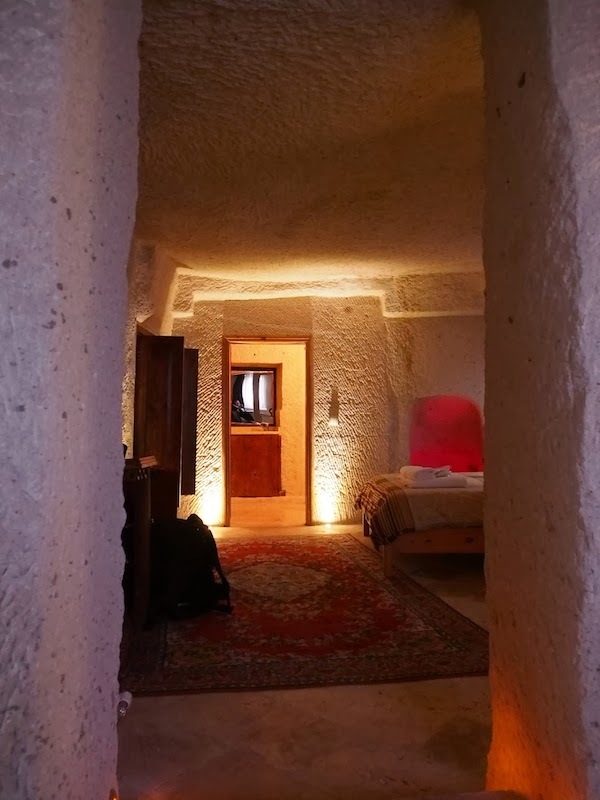 What to do in Göreme?